People age. And as they do, their body loses its ability to respond swiftly to rapid temperature rise. They may even experience non-exertional heat stroke simply by virtue of being in a hot environment for a prolonged period. Some health conditions make them even less adaptable to heat; some aggravate their existing health problems. The elderly are among the most vulnerable to heat waves. So, what can they do to help themselves? What can others do to help them? Elders must keep their outdoor activities brief and time it such that they don't have to go out in the sun, especially between 12.00 noon and 3.00 p.m.; eat light and freshly cooked meals; remain hydrated; wear light coloured, lightweight, comfortable cotton clothes; and avoid alcohol and caffeine. Keeping a bottle of water with them at all times is a must. They must also ensure that they have an access to a phone at all times so that they can reach out to their near and dear ones in case of an emergency. 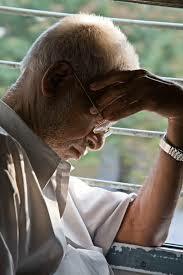 If an elderly person lives alone, it's important to check on them as frequently as possible during extreme heat wave. Make sure they take frequent cool showers and use damp towels to sponge themselves, especially on underarms and neck. If they seem to be suffering from heat stress (symptoms include excessive thirst, weakness, dizziness, headache, high body temperature, nausea, rapid heartbeat, disorientation, etc. ), call an ambulance or call upon a doctor/nearest health centre immediately. For a quick recap, watch this short video.